Online dating can be a great way to meet new, like-minded people, but do men and women have inherent differences when it comes to using these sites? According to researchers from Binghamton University, Northeastern University, and the University of Massachusetts Lowell, the answer is a resounding “yes.” Their study found that, in general, men tend to be much more aggressive on dating sites, sending multitudes of messages to different potential partners, whereas women take a more pragmatic approach to messaging. 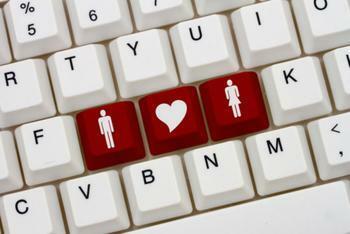 The study used data from Baihe, a prevalent dating website used in China. While writing a reciprocal recommendation system based on the site’s data, the researchers found certain trends that seemed to persist across gender lines, especially when it came to contacting potential partners. Men, for example, tended to be much more aggressive in sending out messages. They tended to focus on their own interests, disregarding how attractive they might be to the person receiving the messages. Unfortunately, it’s not a tactic that seems to work out too well for them. “We found that males like to send a lot of messages to attractive female users, but they don’t get a lot of responses,” said Shuangfei Zhai, co-author of the study. Women, on the other hand, tended to gauge their own attractiveness and the chances of a successful match before sending a message. This kind of self-conscious behavior inevitably leads to more matches. “For females, they’re self-conscious because they tend to evaluate the likelihood of getting a response to the user that they’re sending messages to. In terms of the data, it shows that women have a much larger chance of getting responses from users that they send messages to,” said Shuangfei Zhai, co-author of the study. The full study has been published in the journal Social Network Analysis and Mining.